Are you unhappy with your metal fillings? Do you wish you had white fillings? When you smile do you see white fillings or dark metal spots in you teeth? In the past, dark metal fillings had mercury which made the fillings easy to spot and quite an eyesore, let alone the health issues. At Healthy Body Dental we are happy to provide state-of-the-art composite fillings which are a tooth colored that blends perfectly with your smile. Not only are they natural-looking and comfortable, they are durable and long lasting. There are different chemical make ups in white fillings and bonding. All are superior to the old mercury materials, as the mercury amalgam fillings have associated with broader toxic total body effects and actually cause teeth to crack, many times needing crowns later on. There are tests that can help determine body sensitivity to the bonding / white filling materials. Everyday wear and tear of your teeth can often cause small chips or creaks in your smile. Dental bonding is a simple, safe procedure that involves applying a tooth-colored resin to “bond” with and will restore a damaged tooth. Bonding is a versatile procedure and is commonly used to close gaps between teeth, repair tooth decay, or straighten and whiten the appearance of your smile. 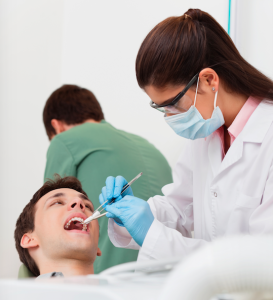 Having a dentist wise in application of the right materials used for the right purpose in the right person usually results in overall winning satisfaction for the patient as well as the doctor. I can’t tell you how much I appreciate your caring and concern. I feel terrible to take you away from your family on a Sunday (+ Holiday) I hope you and your family enjoy these treats. (I am a good baker, if I say so myself). I only wish I would have found you years ago….Do not think about retirement!!! Marilyn T – I only wish I would have found you years ago….Do not think about retirement!!! I can never thank you all enough for the kindness shown to me. Over the last twenty – five years and especially over the last four months, your caring and friendship has meant the world to me. It’s always a pleasure to visit your office.